Since then, the term has grown to be the poorly defined buzzword for the nation's oil and gas production boom, and an epithet for the environmental left. It's technically a nickname for hydraulic fracturing, a part of building and completing an oil or gas well, yet it's come to signify much more to many people. But it's not a focus in this election year, and it does not appear to be on the agenda of a prospective Democratic House majority. "The wind has gone out of the sails of anti-fracking as Democrats get closer to governing," said Paul Bledsoe, an energy fellow at the Progressive Policy Institute and former adviser in the Clinton White House. What appears more likely is efforts to reinstate Obama-era methane restrictions on new oil and gas wells, and oversight of EPA's jurisdiction over drilling. "We need to have hearings on all of the attempts of the Trump administration to repeal the environmental rules of the Obama years," said Rep. Diana DeGette (D-Colo.), a senior member of the House Energy and Commerce Committee and the top Democrat on its Oversight Subcommittee. DeGette would also support hearings on the exemption Republicans wrote into the Safe Drinking Water Act in 2005 for hydraulic fracturing. It prevented EPA from regulating fracturing as underground injection for disposal. Critics call it the "Halliburton loophole" (Energywire, Aug. 18, 2015). "No one has ever really had hearings on that," DeGette said. She'd also like to get the committee to consider legislation she's pushed for years to federally mandate disclosure of the chemicals used in fracturing, called the "FRAC Act." The bill didn't get a hearing when Democrats last controlled Congress. Serious consideration of that, however, falls well short of activist calls during the 2016 Democratic presidential primary to "ban fracking." "My view has always been, if we're going to have fracking, we have to do it in an environmentally responsible way," DeGette said. "There are people who do want to ban it, but I don't think that's a majority." 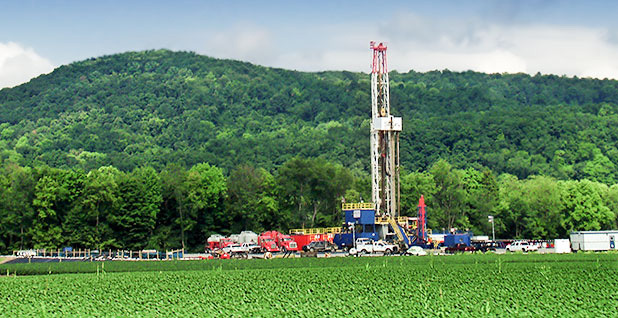 Even the harder-line environmental groups aren't pushing for fracking bans. It's not that they oppose it, but in the Trump era, there are much bigger targets. Food & Water Watch and Climate Hawks Vote, for example, are putting their energy toward Democratic Hawaii Rep. Tulsi Gabbard's "Off Fossil Fuels for a Better Future Act." As for the "FRAC Act," said Climate Hawks leader RL Miller, "It's not even on my radar." There's a number of reasons for the lack of interest, starting with the fact that Congress and the federal government haven't had much to do with hydraulic fracturing or the drilling boom, pro or con. States have much more authority. New York banned high-volume fracking. Texas swept away local restrictions on drilling. And Tuesday will show what purple-state voters in Colorado think about the oil boom in their midst. In the 2016 presidential election, Sen. Bernie Sanders (I) called for banning "fracking" in his bid for the Democratic nomination. But it wasn't even clear what that meant (Energywire, July 8, 2016). There are plenty of areas, though, where federal policymakers do have sway over oil and gas. The federal government permits and regulates many interstate pipelines, oversees national energy infrastructure and sets trade policy. Oil and gas companies have moved on from debates about production, said one industry insider, and toward getting pipelines and export terminals permitted and built. "We've fracked the wells we want to frack in most of these areas already," he said. Environmentalists are pushing the other way in the pipeline fight. Scott Edwards, co-director of Food & Water Watch's climate and energy program, said another key focus will be oversight of the Federal Energy Regulatory Commission. Green groups contend the agency is too eager to approve any pipeline industry sends its way. Bledsoe suggests that restoring restrictions on methane emissions from oil and gas wells might be one of the more achievable goals for Democrats. Not only is it good for the environment, but there's a return to taxpayers. "The companies get it," Bledsoe said. "They're willing to deal."